It is no secret that there is widespread disappointment in the Obama presidency. This disappointment in President Obama mirrors the almost universal disapproval of Congress, the widespread disapproval of most major American institutions, the low generic polling for Democrats in Congress, the collapsed standing of the Republican brand, the collapse of approval for the Tea Party, the civil war that has begun within the GOP and the revealing but under-discussed fact that approval for Hillary Clinton has fallen by some 20 percent during 2013. 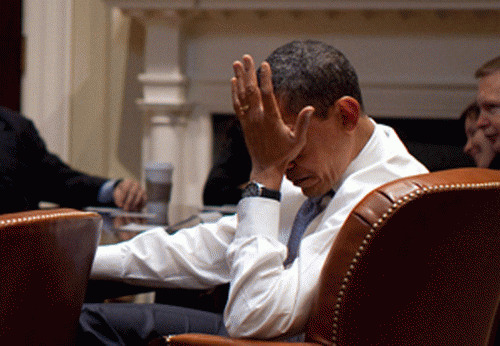 Obama, who took office with high hopes based on his promise of "change you can believe in," blew it. He became the establishment he promised to change. He failed to fight for the "transforming" reforms he promised. The president is in good company. The strange thing about American politics today is that while the behavior of the president, Congress and both parties engenders widespread disapproval, nothing ever changes. They all keep doing what makes them unpopular. While I greatly respect and usually agree with my fellow columnist for The Hill Juan Williams, I vehemently disagree with his assertion in his last column that Republicans are what voters dislike about Washington. If Williams is right, generic polling would show congressional Democrats winning a landslide in 2014. They do not. Contrast the race to the bottom of public approval for Washington with the soaring approval and acclaim for Pope Francis. What is most revealing about the public appeal of the pope, whom I recently referred to as a liberal populist on economic matters, is that many who are moderates and conservatives are joining in widespread admiration of him. In what would appear apocryphal if it weren't true, CNBC recently reported that Wall Street financier Ken Langone contacted New York Cardinal Timothy Dolan to suggest that because of the pope's teachings about finance, there might be a decline from Wall Street sources in donations for the renovations to St. Patrick's Cathedral. Doesn't this drive home the very point Francis is making, which troubles so many citizens? Langone appears to treat the pope like a congressman -- either Francis changes his teachings, or some threaten to not attend his fundraisers. I would argue that one of the great sources of public acclaim for Francis is that he towers above other public figures in speaking with conviction on behalf of the multitudes of "outs" who suffer alongside the extravagant wealth of the small number of the "ins" who prosper. When I say that "Obama blew it," I mean that the president, elected on a platform of "change you can believe in," could have aspired in the secular realm to become the voice for the voiceless that Francis has become in the spiritual realm. Because a vast majority of Americans consider themselves voiceless in our discredited politics, this failure by Obama is one of the great missed opportunities in American history. In American politics, the great battle of our age is about who will define the populist mantle in a nation in which major institutions are vastly unpopular. This battle pits progressive populists such as Sen. Elizabeth Warren (D-Mass.) and New York City Mayor Bill de Blasio against those I would call rightist faux populists such as those in the Tea Party and Sen. Ted Cruz (R-Texas). The tragedy of the Obama presidency is that on the most important philosophical debate and movement of our times he has largely been a bystander when he should have been leading it. Instead of challenging and changing the secrecy and insiderism of Washington with the transparency he promised, Obama came to embody the secrecy and insiderism of Washington that voters deplore in record numbers. True change does not come cheap. Clever photo ops, transient eloquent speeches, brief interludes of advocating income equality, backroom deals that kill the public option, claiming credit for "bipartisan deals" that cut food for the hungry, tolerating long-term jobless benefits ending without a fight before taking another long vacation, creating a super-secret surveillance state, tolerating a revolving door between insiders and special-interest money that would make Republicans proud -- this is not the stuff that great Democratic presidents are made of. Nor is Clinton acting like an inevitable incumbent by mobilizing a horde of consultants and taking big money from private speeches to bankers. The 2014 elections are up for grabs. They are a jump ball for high stakes that could result in an anti-incumbent wave that plagues both parties, an anti-Obama wave reminiscent of the anti-Bush wave in 2006 or a progressive populist wave that will result in a Democratic Congress if Democrats embrace it rather than resist it or try spin it. Obama can only revive the success of his presidency by bringing change that voters believe in to his presidency.